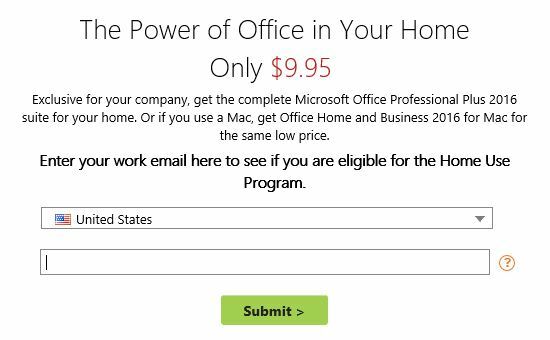 How would you like to upgrade to Microsoft Office 2016 on your personal devices for only 10 bucks? You can do so through the Microsoft Home Use Program. The Microsoft Home Use Program (HUP) is a benefit available to Microsoft customers with active Software Assurance coverage on their Office applications. Federal government employees who use the covered licenses at work are eligible to purchase these Office applications for just $9.95 to use on a personal device during the term of their employment. Some organizations require employees to use a program code to validate their HUP eligibility. If you are prompted for a program code, please obtain this code from your employer. 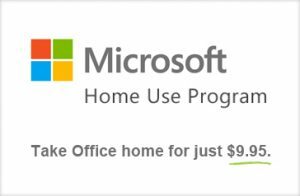 If you are eligible, you will have the opportunity to purchase and download Microsoft Office 2016 for only $9.95! Microsoft isn’t the only tech company that wants the business of government employees. Here are some other companies that offer substantial discounts. The Military/Government Purchase Program is a benefit provided by Apple Inc. to current and retired employees, contractors and family members of government entities, and current, former, and retired members and family members of the US Military, National Guard and Reserve. The Program is intended for personal use. The discounts apply to a broad range of Apple products. Click here to learn more. Dell also offers discounts for Federal employees. Active military may have additional discounts available to them. Click here to learn more. HP also has discounts available to some Federal Government employees. Click here to learn more.